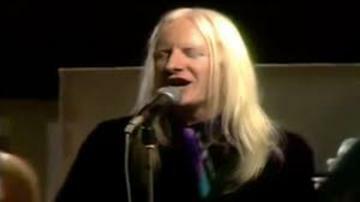 John Dawson Winter III, known as Johnny Winter, was an American musician, singer, songwriter, multi-instrumentalist, and producer. Best known for his high-energy blues-rock albums and live performances in the late 1960s and 1970s, Winter also produced three Grammy Award-winning albums for blues singer and guitarist Muddy Waters. After his time with Waters, Winter recorded several Grammy-nominated blues albums. In 1988, he was inducted into the Blues Foundation Hall of Fame and in 2003, he was ranked 63rd in Rolling Stone magazine's list of the "100 Greatest Guitarists of All Time". The Winter trio toured and performed at several rock festivals, including Woodstock. With brother Edgar added as a full member of the group, Winter also recorded his second album, Second Winter, in Nashville in 1969.